We are really pleased at St Mary’s to be part of this initiative. Click here to see what we will be working towards this year. 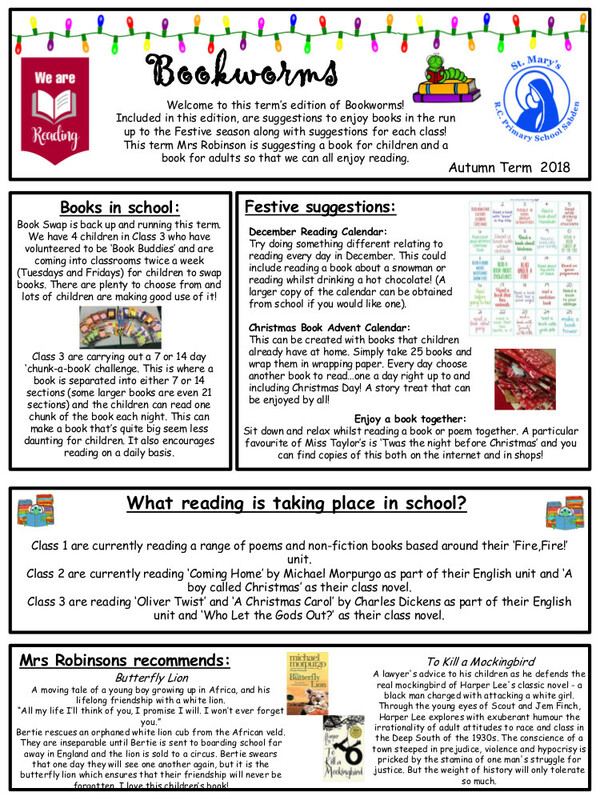 We are very pleased to present this half-term’s Reading Newsletter, Bookworms in which we recommend a number of books especially picked for the Christmas season and let you know what is going on in school at the moment. We also present Miss Robinson’s reading recommendations – one for children and also her recommendation for grown-ups a classic novel set in America that is always worth a re-read. We are also very pleased to let you know that our Book Swap is still going strong and is now open on Tuesdays and Fridays, there are already lots of books for you to chose from and we have four volunteers from Class 3 who have taken on the role of Reading Buddies to help you with your choices and make sure that the Book Swap is always looking tidy. If you want to know more about the Book Swap we recommend that you watch Max’s video. 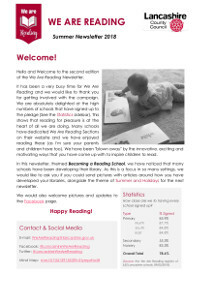 Our Book Swap has been so successful that it was mentioned in last summer’s newsletter, We Are Reading from Lancashire (click on the link to the right and head to p16 to read more).